Free Nutri-Grain bars are back on Coupgon! 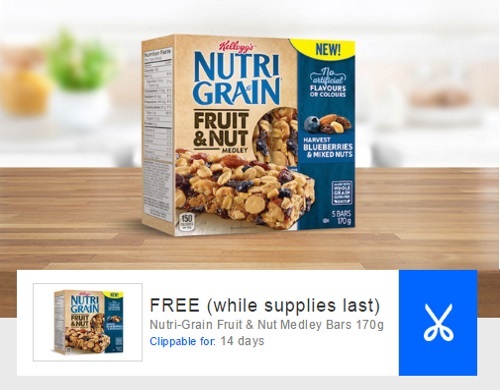 Get a Free Nutri-Grain Fruit & Nut Medley Bars (up o $3.99 value) when you claim the offer on the Coupgon app. Offer is clippable for 5 days.